Job Seekers who are looking for Assistant Professor Jobs they can apply for Adikavi Nannaya University Recruitment 2018. The Adikavi Nannaya University is inviting online and offline application forms to fill up 34 Assistant Professor Vacancies. Interested candidates can apply from 8th January 2018 to 30th January 2018. Eligible candidates can apply for Adikavi Nannaya University Recruitment 2018 by visiting the official website of Adikavi Nannaya University www.nannayauniversity.info. Other information like Vacancy Details, Eligibility Criteria, Application Fee, Selection Procedure, Salary Details, Important Links, Important Dates, and How to Apply Details are clearly provided in the below section. Before going to filling the online application form read this article completely and apply for Adikavi Nannaya University Assistant Professor Recruitment 2018. Adikavi Nannaya University Recruitment Notification is released for the year of 2018. Interested job hunters for Adikavi Nannaya University Recruitment 2018 are advised to refer the eligibility criteria whether you are suitable for Assistant Professor or not. At present, the Adikavi Nannaya University has issued 34 Posts. The online application forms are available from 8th January 2018 to 30th January 2018. So, candidates who are applying for Adikavi Nannaya University Assistant Professor Jobs 2018 they must be passed Master’s Degree with the good academic record. After checking the education qualification aspirants who are suitable for Assistant Professor vacancies they must grab this excellent opportunity. While filling the online application forms applicants are required to follow the below given guidelines and apply for Adikavi Nannaya University Assistant Professor Vacancies 2018. Suitable candidates must don’t miss use this opportunity. For more details regarding this Assistant Professor Details, candidates must refer the official notification which is modified at the end of the article. To help the applicants we create this page and providing complete details. Candidates who are looking for Andhra Pradesh Government Jobs they can hurry up and apply for Adikavi Nannaya University Recruitment 2018. As per the official news, the applicants must have prescribed age limit. Refer the notification and check age limit and age relaxation details. Interested and willing aspirants can apply before 30th January 2018. Those who are eagerly looking for Teaching Jobs they must grab this chance and apply for Adikavi Nannaya University Recruitment 2018. job Seekers who want to settle down their career in a Teaching Filed this is a golden opportunity for those aspirants. So, eligible candidates can refer this complete article and apply for Adikavi Nannaya University Assistant Professor Recruitment 2018. To recruit the talented people the Adikavi Nannaya University authorities are conducting Online Written Exam and Personal Interview. Applicants who clear both the rounds they will get a placed at Adikavi Nannaya University. More information is provided in the below section so simply scroll down this page and check the entire details. 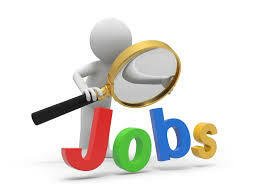 For more updates stay tuned to our website Sarkari Recruitment. The Adikavi Nannaya University is looking for eligible and talented candidates for 34 Assistant Professor Vacancies. So, interested candidates can apply now for Adikavi Nannaya University Recruitment 2018. Already the university is taking the online application forms. If you meet all the eligibility criteria they have to apply for Adikavi Nannaya University Vacancies 2018. As coming to the application fee information the General and OBC category candidates must pay Rs. 1000/- and the SC/ ST category aspirants need to pay Rs. 500/- as application fee. Candidates who are applying through online mode they have to submit before 30th January 2018. Interested candidates who are applying in offline mode they must send their application forms before 6th February 2018. After completion of the selection rounds candidates who are selected for Adikavi Nannaya University Assistant Professor Jobs 2018 they will receive good remuneration. So, job seekers who are looking for AP Government Jobs can apply for this notification. Refer the complete details which are clearly mentioned in this section. Aspirants must be completed their Master’s Degree with at least 55% in a relevant subject from any university Or must be possessed a degree from an accredited foreign university. Applicants must refer the official notification and check age limit and age relaxation details. The applied candidates must face Online Written Exam and Personal Interview. And SC/ ST candidates need to pay Rs. 500/- as application fee. The selected candidates for Assistant Professor Job will get Rs.15,600 to Rs. 39,100/- along with Grade Pay Rs. 6,000/-. The Starting Date To Fill the Online Application Form: 8th January 2018. The Last Date For Submitting the Online Application Form: 30th January 2018. The Closing Date For Submitting the Offline Application Form: 6th February 2018. At first, refer the official website of Adikavi Nannaya University www.nannayauniversity.info. Search for Adikavi Nannaya University Assistant Professor Recruitment 2018 on the home page. Suitable candidates now download the application form. Fill the form with necessary details. Attach a required documents and submit the online application form before 30th January 2018. Candidates who are applying for Adikavi Nannaya University Recruitment 2018 they must refer the complete details from the above section. The given details are useful for the applicants. Also, view your results on सरकारी रिजल्ट.